Affiliate programs is a form of online advertising where advertisers pay to publishers such as blogger for promoting their products on blog/website. Advertiser pay commission for each purchase by visitor of blog/website of their product. Every publisher called as affiliate and they get paid for every purchase/action by visitor after clicking affiliate link from website. Affiliate advertising programs become popular among advertisers and bloggers. Because advertiser get a better way to promote their products in front of large audience and also blogger can make nice amount of money from blogs. 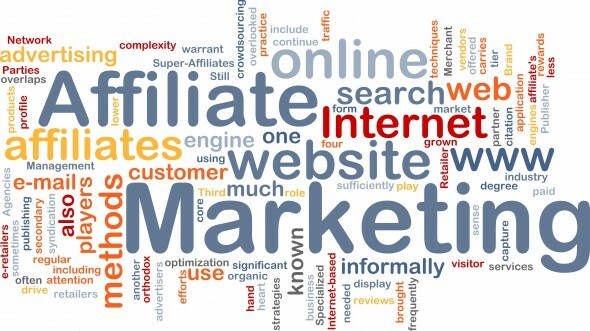 Both small and big companies use affiliate marketing to promote their products & services. Some manage this internally and some do it by external affiliate directory websites. Every affiliate (publisher) get unique link to affiliate product which is linked from blog in form of text, image or video. Without any unique affiliate link it is not possible to make from advertisers. Publisher get paid after visitor take action in advertiser website after click the affiliate link from blog. Profit: If a blogger working on technology niche then they can easily promote affiliate products related to computer, gadgets, tech etc which is may your visitor need to buy. Affiliate products related to content of your webpage may get you more buyer from online. Loss: If blogger promoting affiliate advertising on blog which means few ad places will be reserved for affiliate advertising and less will remain for PPC ads. So blogger will get less earn from PPC ads and also if your readers are not interested to buy product from here then it will difficult to earn from affiliate advertising. Its not a big deal to place affiliate advertising on blog. Always affiliate advertising opportunity available for all blogger/publisher. Make sure that affiliate advertiser is reputed and keep track of all thing in time like accuracy, commission, payment etc. Choose those affiliate advertiser whose products and brands match your readers expectation and they feel comfort to buy from their. What type of commission they are paying for each action and is they make it always clear about it in detail. If affiliate products & services generate very low amount of commission then it will need many more action get make more money. Consider those products which will make your moe profitable for affiliating. All the tracking mechanism of that affiliate program keep all record and generate pay in decent ways. May some time publisher need help & support from affiliate program provider then must check they are concern about it or not? Keep track and information about behavior of audience in your blog/website for placement of ads in website. Always place ad and put link in that place of webpage to which place most of reader attracted. Using link shortener tool short all your affiliate links and place short link instead of real affiliate links. Short link of affiliate link will always hide that from reader is that, you are promoting some affiliate product. Promote affiliate products on social media site or Q&A site with short link instead of real affiliate link. You can write lines or paragraphs in your own tactic & trick to attract visitor to click on associated link. Hello, I am web designer student and need a web hosting but new to buy hosting. When I search for cheap hosting I found this http://goo.gl/H4GIOf, which providing hosting for 3$/month which is very less than any other hosting provider. Is it is safe to buy hosting from this website or not? We collected few website those are offering affiliate program for blogger/publisher. Direct Affiliate: Amazon Associate, eBay Partner provide direct affiliate program for publisher with various type of products & services. Third Party: Link Share, Commission Junction, E-junkie, ShareaSale are third party programs for affiliate programs. Affiliate Directory: Associate Programs, Affiliates Directory are affiliate programs directory. Hosting Affiliate: if you have niche related to hosting then Bluehost, Dreamhost, Justhost, maxcdn & Hostgator are suitable as hosting affiliate advertiser. Theme & Code Affiliate: CodeCanyon, themeforest, appthemes, elegant themes, studiopress, themefuse are affilaite programs suitable for code, script, themes, plugins, wordpress, commerce niche relate blog. If your blog/website related to any other niche then you can search for affiliate programs related that niche on the web.